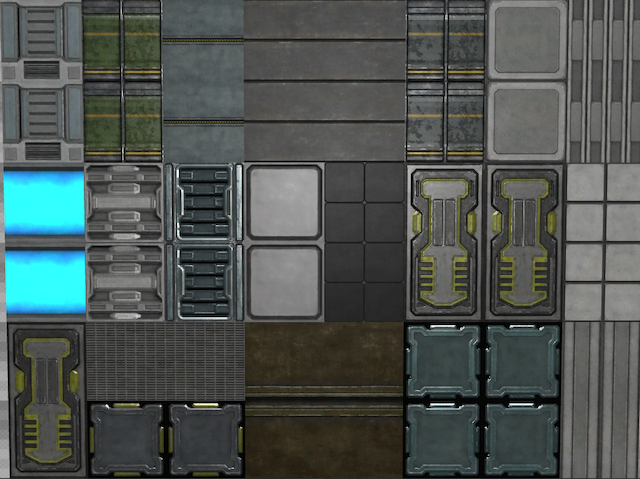 About 20 textures total, taken from the game files of Red Eclipse and repackaged. I re-did the shaderparams in the package.cfg to reduce the parallax effect. As on the other texture pack posted soon after each other, this one is nice but has the very same troubles as Unnamed Texture Pack (undefined parallax-shaders, just dropped into the packages folder, diffuse textures incorrectly defined). Those statements are all explained in the other node. However, textures.cfg seems to be a correct configuration-file which has no odd parallax-shader settings. Still was waiting for years to finally see someone repackage them and publish them under Sauerbraten's flag.